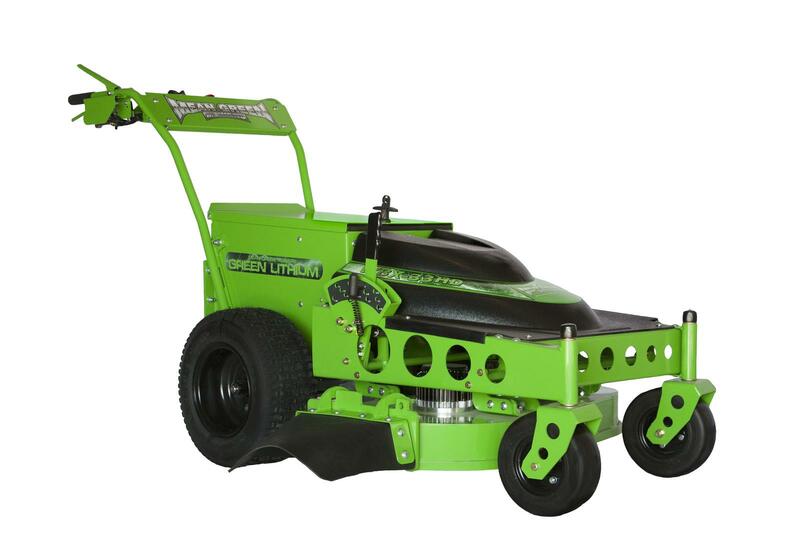 Welcome to a new breed of powerful commercial electric wide area walk behind mowers. With available horsepower exceeding most commercial gas mowers in its class and MAXIMUM torque from the start, the WBXHD proves that cordless electric mowers can be powerful and extremely quiet. Easy "one-click" key start and GO! Cutting heights up to 4.75 inches with the EASY ADJUST deck height system. Powered by Mean Green's Lithium Energy Module, the WBX-33HD offers all day mowing with extreme power and stelthy operation. The WBX walk behind is constructed on thick 10 gauge steel chassis and welded steel deck with aerospace engineered technology making the WBXHD one of the lightest commercial walk behind mowers. Easily fits through 36" gates and doors. Powerful, instant fingertip variable speed control up to 5 mph forward and 2.5 mph in reverse. Personalize your walking speed with our Operator Drive Speed Control Dial.